Two-thirds of the ITT board of directors will be independent. Bonuses and separation agreements will take into account executives’ compliance with the law. ITT will publicly disclose its insider trading policy. ITT will adopt a “Clawback and Recoupment Policy” that requires executives who engage in misconduct that results in an accounting restatement by the company must reimburse the company for bonuses or stock sale profits in the period. “ITT will maintain its Employee Ethics Alert Line, a confidential ethics hotline operated by a qualified third-party vendor, for at least five years. Information relating to the Employee Ethics Alert Line will be communicated to employees via a number of awareness distribution methods, including ITT’s employee web portal and poster displays in areas such as employee break rooms. Three different shareholder derivative lawsuits filed in New York and Indiana were combined into this case, with shareholders claiming collectively that ITT had engaged in breach of fiduciary duty, unjust enrichment, abuse of control, corporate waste, and gross mismanagement. The joint court filing by ITT and lawyers for the shareholders states that ITT denies all the claims in the case and believes it has done nothing wrong. ITT also announced last week that it was paying a $515,000 bonus to its CEO, Kevin Modany. The money represents a fraction of the earnings Modany received a few years ago, when for-profit college profits and abuses were at their peak — in 2009 Modany got $7.6 million in total compensation; by last year he was down to about $3 million. But given that Modany has presided over a disastrous period in the company’s history and in fact was slated to resign before apparently changing his mind on New Year’s Eve, and given that taxpayers have been paying most of his salary, it still seems like an awful lot. In the same SEC filing, ITT announced a series of criteria for determining bonuses going forward, including: resolve legal matters, increase graduation rates, improve nursing license exam passage rates, “Design, develop and obtain the necessary regulatory authorizations to offer an alternative delivery methodology for an accredited degree program,” and “Design, develop and implement a revised marketing and advertising campaign for ITT Technical Institute.” Some of these criteria seem to move in the direction of positive reforms, while others raise new questions. ITT, which has been getting as much as $1.1 billion per year from federal aid, about two-thirds of its revenue, has a troubling record. Last May 12, the Securities and Exchange Commission sued ITT, CEO Modany, and ITT’s former CFO, charging that the company “made various false and misleading statements and omissions to defraud ITT’s investors by concealing the extraordinary failure” of its student loan programs. The SEC charged that ITT management “engineered a campaign of deception and half-truths that left ITT’s auditors and investors in the dark concerning the company’s mushrooming obligations” regarding its private student loan program. The attorney general of New Mexico has sued ITT for alleged “unfair, deceptive, and unconscionable acts and practices … in connection with the advertising, marketing, and selling of educational services” to prospective students. At least thirteen more state attorneys general — from Arkansas, Arizona, Connecticut, Idaho, Iowa, Kentucky, Massachusetts, Missouri, Nebraska, North Carolina, Oregon, Pennsylvania and Washington — are probing ITT. A federal whistleblower lawsuit unsealed last month added more allegations of awful abuses, such as ITT admitting a blind student to a computer networking program that was unsuited to assisting the student, who dropped out within weeks and got stuck with the bill. ITT denies it has done anything wrong and is contesting the pending charges. But the company is also in precarious financial condition. ITT stock trades today at about $2.70 a share, down from $92.30 in July 2011. In October the U.S. Department of Education put delays and new restrictions on the delivery of student aid to ITT, after the Department concluded that ITT had failed to properly account for federal aid money since at least 2009 and failed to comply with prior Department orders to strengthen financial controls. The Department had already, in 2014, placed ITT on a probationary “heightened cash monitoring” status and required the company to post an $80 million letter of credit. 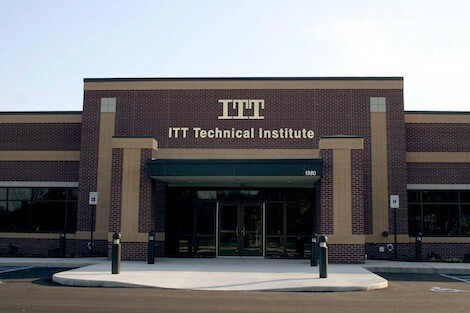 Yet ITT still has some 130 campuses, with more than 55,000 students, in 38 states. Last year ITT received $664 million in taxpayer money from student grants and loans.